Drivers near St. Cloud, Florida who are on the hunt for a new sedan can now get behind the wheel of the new 2019 Kia Cadenza. This new Kia sedan is finely crafted to command attention and surpass expectations while on the road. Visit us at our Kia Dealership in Orlando, FL to get a first-hand look at the new Cadenza, and speak to one of our friendly sales associates to see how this impressive sedan compares to similar models. 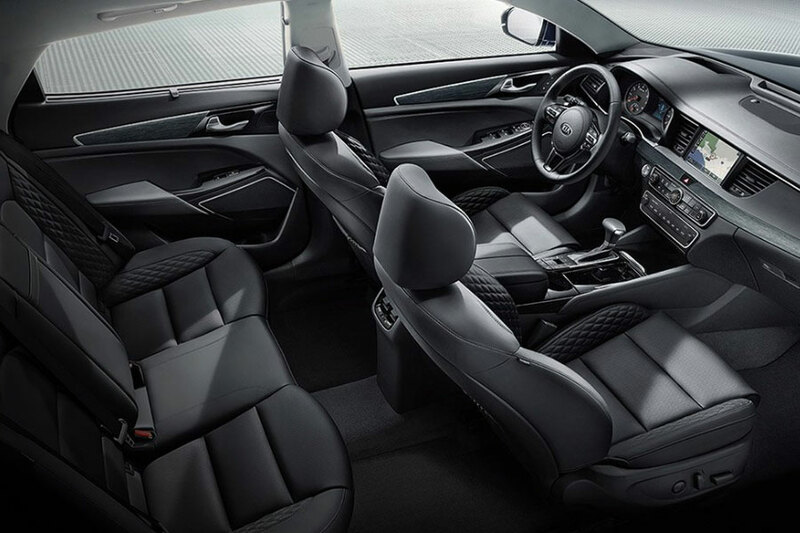 Inside the new 2019 Kia Cadenza, drivers will find advanced, driver-specific technology features to help them enjoy their commute. Drivers will now be able to pair the Cadenza with their smartphone, allowing them to access features like Apple CarPlay™ and Android Auto™. With these features, you will be able to receive hands-free text messages, talk on the phone and play your favorite audio apps, all from the built-in Audio Display Touchscreen. Plus, the available Head-Up display will project all your essential information onto the windshield right in front of you. All these new features will have you valuing your current car for a trade-in, and looking to upgrade in no time. 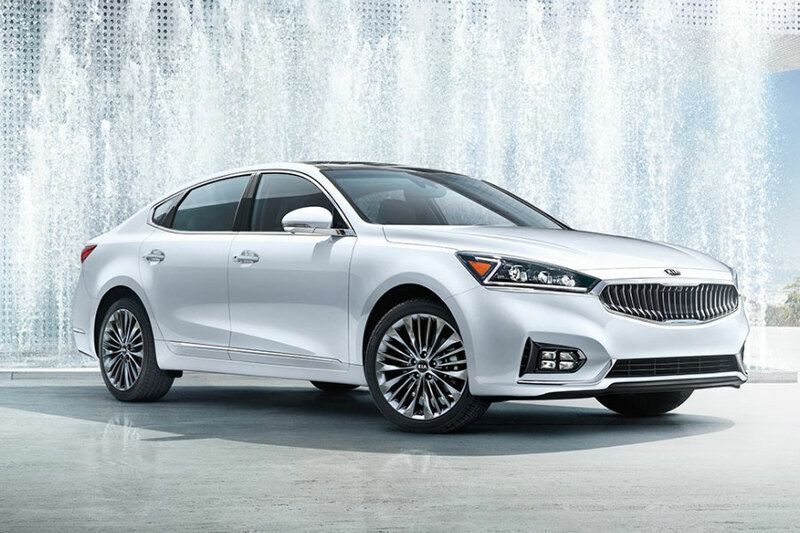 With the new 2019 Kia Cadenza, you don’t just get a car, you get a one of a kind smart sedan. The new Cadenza offers a suite of available advanced Kia Drive Wise technology features that are designed to not only help keep you safe on the road, but will alert you of any potential accidents. These features may include the Lane Departure Warning, The Smart Cruise Control and the Blind Spot Collision Avoidance System. See these amenities up close and personal when you schedule a test drive with our friendly team at Orlando Kia West today! When you sit behind the wheel of the new 2019 Kia Cadenza, you will be greeted with an unexpected drivetrain that comes with an 8-speed Sportmatic transmission, which delivers impressive handling, response and fuel economy. This sleek sedan comes with a body that is specially engineered with advanced high-strength steel to not only give you a quiet ride, but can also help protect you and your family. We at Orlando Kia West want you to drive off is a safe and reliable sedan, that’s why we are financing the new 2019 Kia Cadenza. The new Cadenza comes with an array of active and passive safety features to help with any situation on the road. From the Traction Control System to the Electronic Stability Control, have peace of mind when driving around the tourists on the busy Orlando, Florida streets. Also inside the new Cadenza is an advanced airbag system that features built-in high-tech sensors for your safety. Drive off in the new Cadenza knowing that Kia has your back. Begin your search for a new sedan with us at our Orlando Kia West website. When you visit our website, you can filter through our vast array of new and used Kia models, trims and specs. Visit our website to check out all the available Kia specials we have going on right now. You can also contact our friendly sales team if you have any questions about the car buying process. We at Orlando Kia West work hard to make buying a car a simple and straightforward process. If you are interested in learning more about the new 2019 Kia Cadenza, visit with us today!